A landmark case has today seen three men convicted of stirring up hatred against the gay community by distributing leaflets calling for the death of homosexuals. The case, at Derby Crown Court, is the first of its kind in British legal history, and demonstrates the CPS's determination to take on challenging and ground breaking cases. Sue Hemming, head of the CPS Special Crime and Counter Terrorism Division, said: "A court has heard for the first time from witnesses how they felt, as gay men, when they read a leaflet calling for the death penalty for homosexuals. "The leaflet, which led to this prosecution, showed a manikin hanging from a noose and said gay people were destined to go to hell. The jury was told by one witness that he felt he was being targeted and he feared he would be burned. "Everyone has a right to be protected by the law and we regard homophobic crimes, along with all hate crimes, as particularly serious because they undermine people's right to feel safe. "While people are entitled to hold extreme opinions which others may find unpleasant and obnoxious, they are not entitled to distribute those opinions in a threatening manner intending to stir up hatred against gay people. "This case was not about curtailing people's religious views or preventing them from educating others about those views; it was that any such views should be expressed in a lawful manner and not incite others to hatred." It has been an offence to stir up hatred on the grounds of sexual orientation since the law was amended by the Criminal Justice and Immigration Act 2008, which came into force in 2010. In this case, the CPS had to look at the evidence very closely to determine if the leaflets went beyond being insulting or abusive, but were in fact threatening, and distributed with the intent of stirring up hatred. 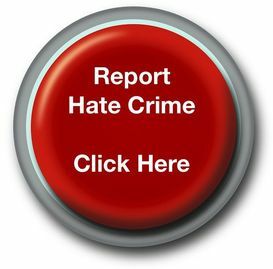 Recklessness is not enough to prosecute a case like this, and the prosecution must be able to show that the defendant intended to stir up hatred and the behaviour must be threatening. Miss Hemming said: "Once we were satisfied that the evidence was there, we then had to consider the public interest in bringing this case. Where an offence is motivated by any form of discrimination, then the public interest will almost always be in favour of prosecution." Three defendants, Ihjaz Ali, Kabir Ahmed and Razwan Javed were found guilty by the jury and will be sentenced on 10 February 2012. Mehboob Hussain and Umar Javed were found not guilty.